I haven't done much reading while on vacation but I did read some amazing stories. Here are my short reviews on the first two books in Alyssa Cole's Reluctant Royals series. In three words - I loved it. So fun and so much depth. 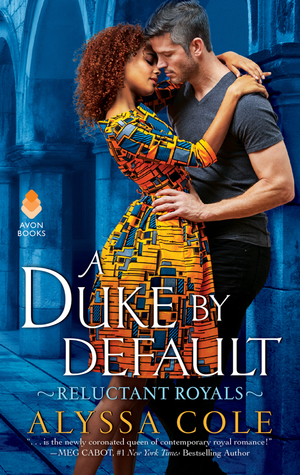 Entertaining, everything I need in my romances - real, flawed characters, messy emotions, a bit (royal) drama, interesting family and friendship dynamics. There is so much to talk about in this book. Heroine discovers she has ADHD, she is not messy and flighty and unreliable but brilliant and determined. Divorced older hero who doesn't want to fall in love. No cheating evil ex, but rather an amicable divorce where they are still friends. I can't recommend it enough. I loved the female friendship, old and newly emerging ones, his family is pure gold. On top of the fabulous romance this story also presents a topical comment on immigration, gentrification, the aristocracy. I related so much to her way of expressing love through care.Brilliant, one of my top reads of 2018! I read this after book 2 but it didn't affect my enjoyment in the least (other than seeing the old Portia in not so flattering light). 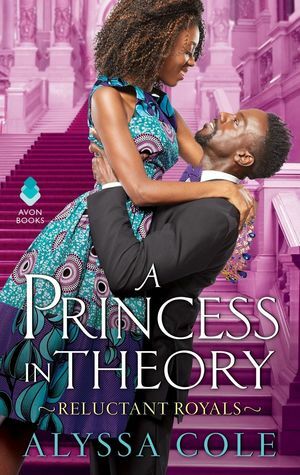 This is a light, fun, sort of dreamy, sweep-me-off-my-feet royal romance. I loved the STEM heroine, the prince in disguise also worked well. Alyssa Cole tells a modern-day fairy tale which the perfect feel good read. I enjoyed the details of life in New York and then in second half, all the magic and beauty (and court intrigue) of a made up kingdom of Thesolo. I loved the female friendships in the story, both old and new. I was not happy with he way Thabiso lied to her and misled her initially but I managed to forgive him by the end. Overall, this is a magical, fun and relaxing read which I enjoyed immensely. Currently reading: I started Stripped by Zoey Castile but had to stop at 70% because it was not working for me and I was getting close to hate reading it. I will try to finish it in order to write a proper mini review, hopefully next week. So, now I'm reading A Conspiracy of Whispers by Ada Harper. I'm less than halfway through and I'm riveted, such a brilliant sci-fi, post-apocalyptic m/f romance. I can't wait to finish it and start the next one, A Treason of Truths. It's a f/f romance and I already have an ARC.